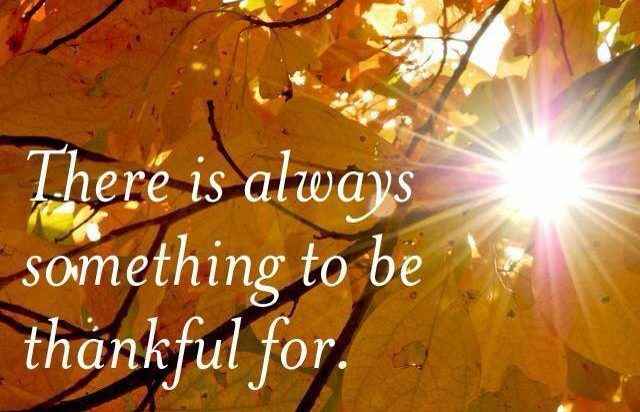 According to the calendar, November is the time to give thanks. According to Benedictine Monk, Brother David Steindl-Rast the way to find lasting happiness is by what he calls “grateful living” which he defines as being thankful at ALL times, year-round, during the good times and the bad. The Latin phrase Amor fati translates to “love of fate” or “love of one’s fate”. It describes an attitude in which one sees everything that happens in one’s life, including suffering and loss as necessary to one’s life, growth and destiny whether one likes it or not. Motivational speaker Tony Robbins, tells people to change their expectations to appreciations. He says this will get you out of self, which will make you present and open to life’s opportunities and callings that you might otherwise miss. Life will give you the opportunity to enjoy everything, even washing the dishes. Heaven forbid you should wait till you have lost your eyesight, youth, legs, loved ones, etc. to remember to appreciate them. This Thanksgiving try living gratefully, be present even when the over imbibing family member is expounding on their extreme political views during a football game in which your team is losing. Cease the opportunity to put the Monk’s philosophy to the test.